OTHER THAN HUBBY, his Papa also has some priced possessions. 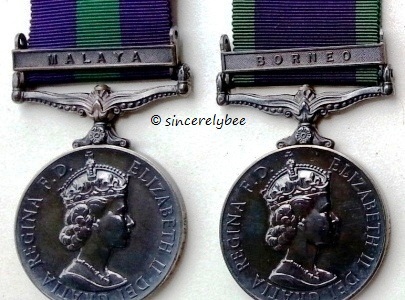 (L-R) Medal for service during the Malaya emergency between 1948-1960; Medal for campaign service during the Brunei revolt in 1962. 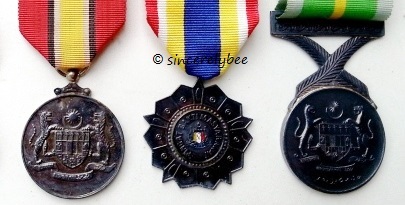 Other public service medals including Pingat Bakti Masyarakat PDRM received on 15 August 1989 (centre).